Quality and a passion for cars are combined in the heart of Europe, resulting in vehicles that quicken the pulse of car lovers all over the world. Volkswagen Slovakia was established in 1991 and is one of the most important companies in the country. It provides work for thousands employees in its plants in Bratislava, Martin and Stupava. 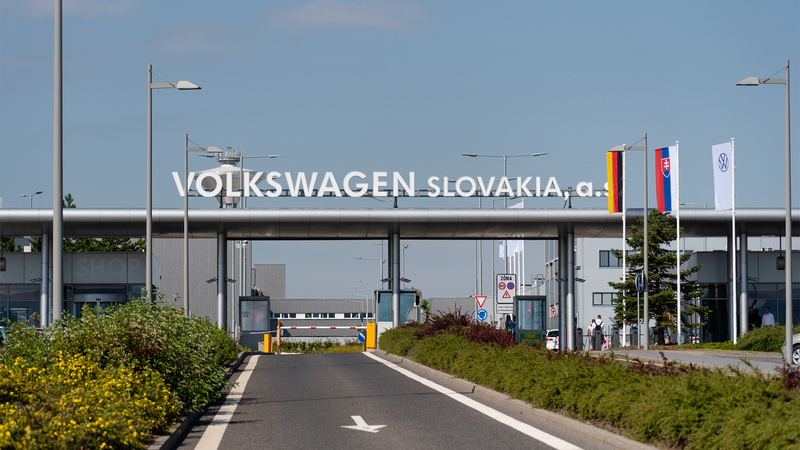 The Bratislava plant of Volkswagen Slovakia is the only car-producing plant in the world to manufacture five brands under one roof. It is the exclusive producer of the Volkswagen Touareg, Audi Q7, Audi Q8, Porsche Cayenne, Volkswagen up!, Volkswagen e-up!, ŠKODA Citigo and SEAT Mii. More than 99 % of its output is exported to 158 different countries, the largest markets being Germany, the USA and China. The Bratislava plant also produces gearboxes, the plant in Martin components for gearboxes and in Stupava tools for car manufacturing are made. Dr. Oliver Grünberg has been the Chairman of the Board of Volkswagen Slovakia, a.s. since the beginning of 2019. Karen Kutzner is the Board Member for Finances and Eric Reuting is the Board member for Human Resources.